Yummy purple glaze on latest slab pot! My latest slab pot is below. I like this glaze! The impressions on the clay are from a range of items such as lace strips, rubber stamps and rollers. 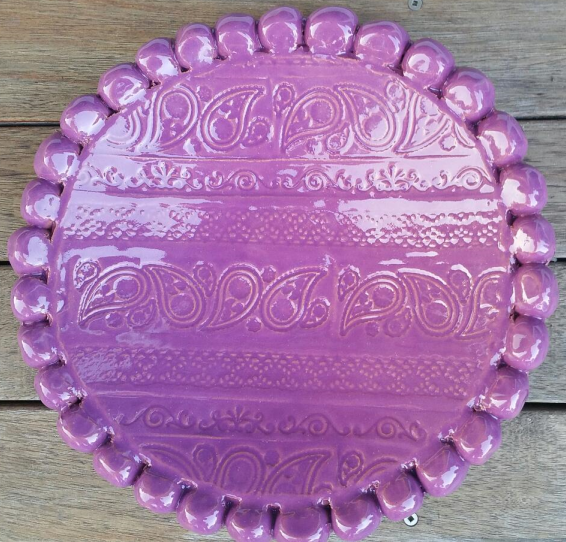 This entry was posted in Ceramics and tagged Ceramics, Handmade, Handmade plates, Homewares, interior design, Pottery, Slab Pots, Stamps for Clay. Bookmark the permalink.